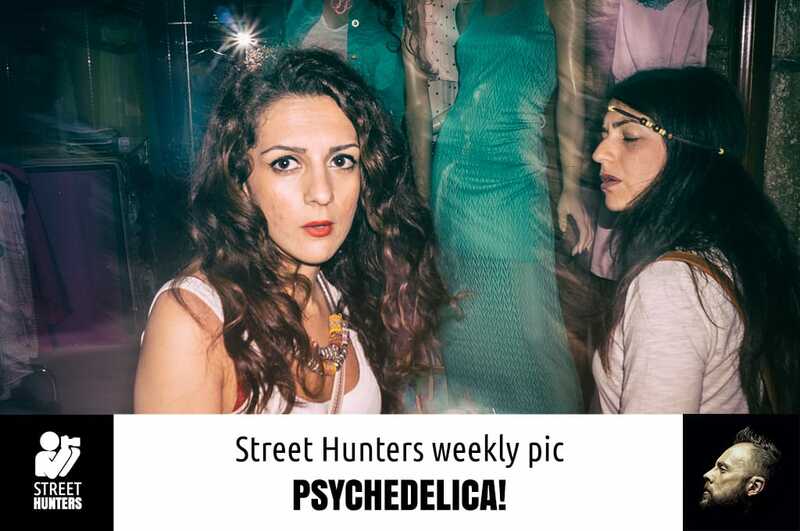 Home Weekly Street Hunters pic Psychedelica! This is a photograph that has been shot with a SONY NEX-6 with the SEL20F28 lens, in Rethymno, Crete, Greece. In the summer of 2014 I did a really cool photo gig for a theatre. It was the first time I had ever done anything like that and I enjoyed the experience immensely. It really helped me unleash my creativity in a way similar to Street Photography but not exactly like it. What do I mean? Well Theatre photography is like shooting in the streets, especially if you have never watched the show before, but it is without the stress of photographing strangers. Composition opportunities are the same, in a more controlled environment, but with the unpredictability of the human behaviour, expressions, movements. Even though there are similarities with Street Photography it is more relaxing and feels a bit different. But hey, you must be thinking why am I rambling on about Theatre Photography on a Street Photography blog! This is why. When the gig ended I had shot 3 rolls of B&W Ilford HP5 with my analogue camera and about 250 digital photos with my NEX-6. It performed amazingly and I felt great but I needed to get a taste of the streets before I went home. So I decided to walk home through the old town and see if I could find any interesting characters. I was experimenting with the NEX-6 pop up flash with rear curtain shutter at the time and was finding the results interesting. So, I got ready, switched my settings from what I had to the Theatre to my Flash Street Photography settings and hit the streets. 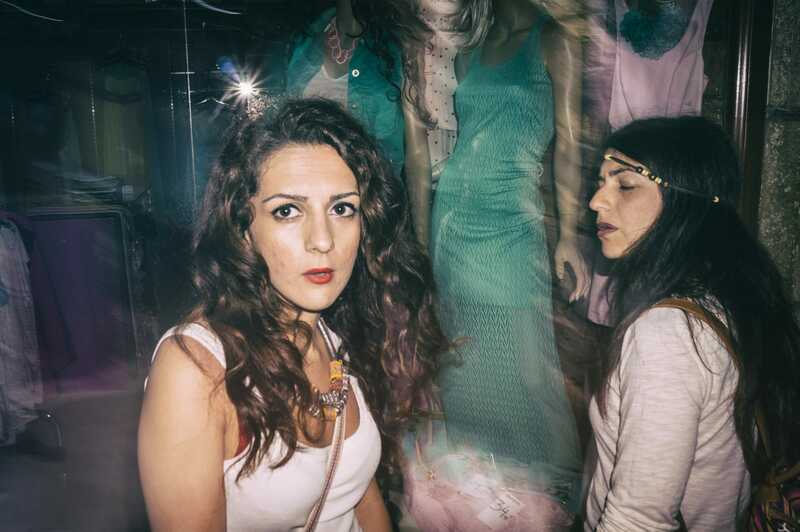 Soon enough I spotted these interesting girls looking at a shop window. What attracted my attention was the combination of colours, the ladies looking at the window and the mannequins. The girls had their backs to me as I got closer, but I wanted to photograph their faces. So, I got into position and said “Hello, can I take your photo?” and before I got an answer I shot it and left saying “Thank you!”. I could hear them laughing in the background. That made me smile.